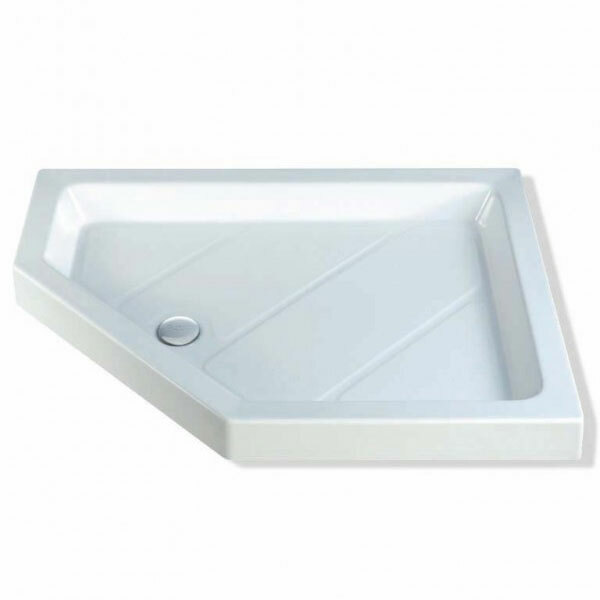 This pentangle 5 sided shower tray perfectly matches the range of 900, 1000 and 1200x900mm pentangle enclosures on the market. 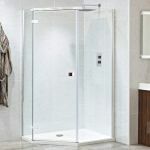 Most manufacturers offer slim trays but MX understand that there is still demand for the high walled classic shower trays with cast stone resin construction. These are a solid dependable design that won't move beneath your feet. The high sides also means there is no chance of water escaping. 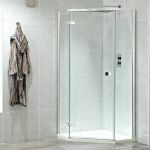 The built in tread pattern makes this perfect for those who worry about slipping whilst showering. 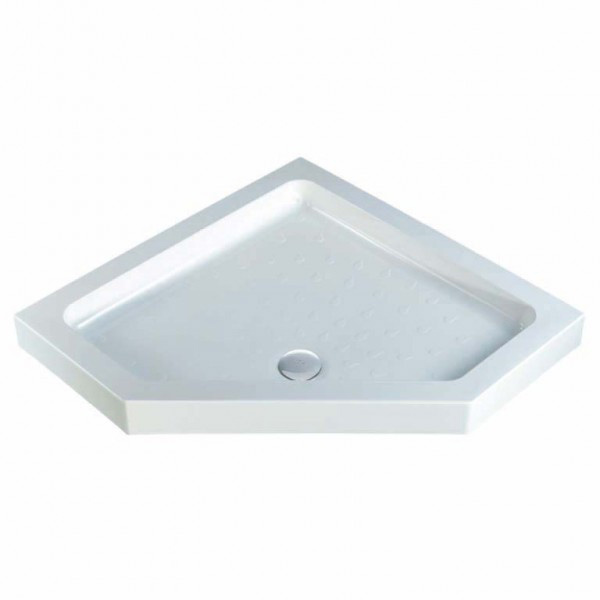 The shower tray also comes complete with a matching shower waste to drain water away efficiently. Most items are delivered within 3-4 days. For larger items you will be contacted to arrange a mutually convenient delivery date. Add the product to the cart. Go to the cart (top right) then click the calculate button and add your postcode to work out the delivery charge to your address. Delivery charges are based on the weight and fragility of the product as well as the distance from our warehouse.